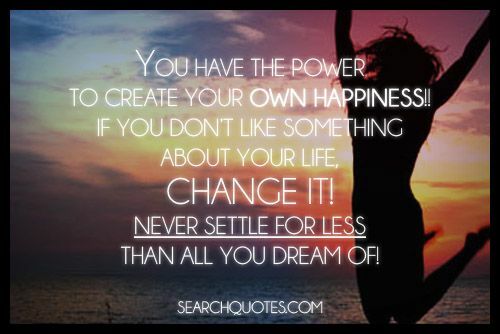 Some pursue happiness; others create it. When we think of happiness it is important to think of it as an architect does a building. First an architect sets a plan, usually approved by some kind of board or city council, and then they get to work creating their plan, tackling challenges and obstacles presented to them as they move along. This is symbolic of how we can create happiness for ourselves. We must make a blueprint or goal for ourselves, get it approved by the man upstairs, then go about trying to reach this goal without letting any challenge or circumstance get in our way. As you may have noticed architects usually dont just build one building for their lifes work, they build building after building. The famous architect Frank Lloyd Wright stated when asked what he thought his best piece of architecture was His next one. Meaning that we shouldnt just be content with the happiness we have created in the past, to maintain our happiness we must keep looking forward to creating it! 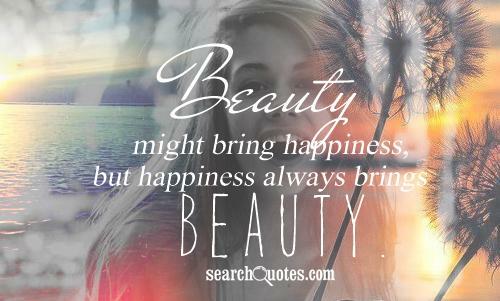 Beauty might bring happiness, but happiness always brings beauty. The way that the world functions today, we tend to think that our beauty is made up solely of the person that we see when we look in the mirror. Little do we realize our beauty is made up of the person that we are inside, not the person that we are on the outside. If we only allow people in our lives that only appreciate us for our beauty on the outside, we will never have real friendships or love. The only person that can truly make us happy would be ourselves. The things that we want for our lives are developed from deep inside our core, and with guidance from God, we try to create the closest rendition of our dreams as possible. Making our own happiness consists of knowing who we are at heart first of all. We have to know who we are to know what we want for our lives and to know how we want to follow our dreams. 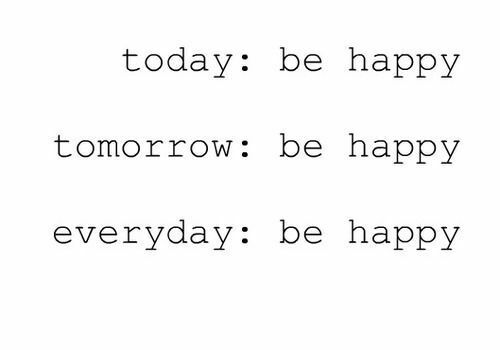 Today Be Happy, Tomorrow Be Happy, Everyday Be Happy. Being happy is a mind state that we have to dedicate ourselves to daily. Not only is our happiness derived from the accomplishments we achieve and the challenges we overcome, but happiness is also keeping a smile on your face when adversity is sitting across from you trying its best to make you frown. Being happy daily relies a lot on who we are on the inside. To stay happy and to keep a positive outlook on life we must remain as positive possible. 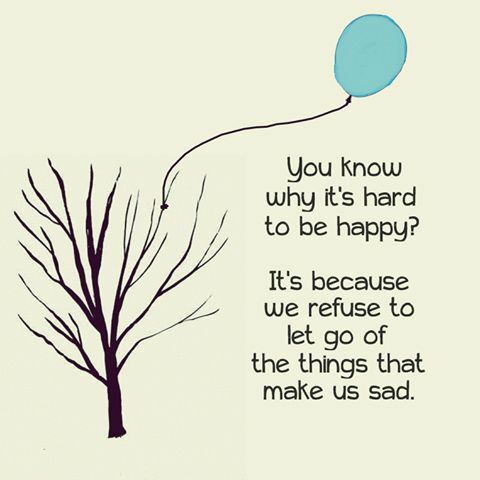 You know why its hard to be happy, because you find it hard to let go of the things that make you sad. In order to be completely happy we have to be able to completely let go of the things that we know will never be again. We have to let go of our pasts, and the memories that bring us down. Looking back will only hold us back from progressing forward, and while it is ok to be thankful for the memories that make us smile, if they are attached to someone that brings us a lot of pain when we remember them then maybe we should try to limit those memories from arising as much. 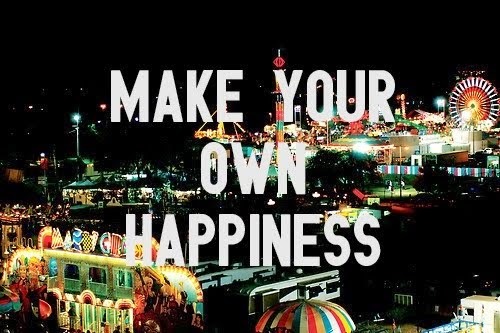 The only person that can truly make us happy would be ourselves. The things that we want for our lives are developed from deep inside our core, and with guidance from God, we try to create the closest rendition of our dreams as possible. Making our own happiness consists of knowing who we are at heart first of all.